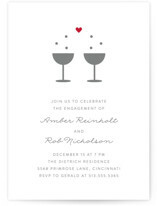 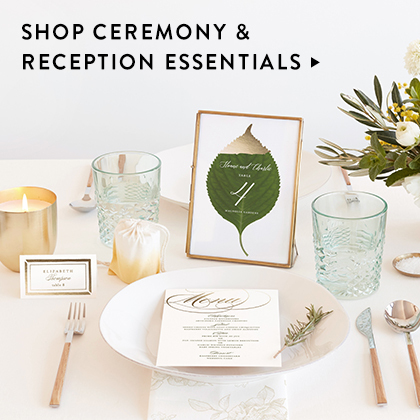 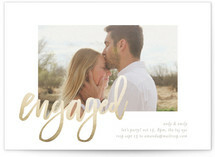 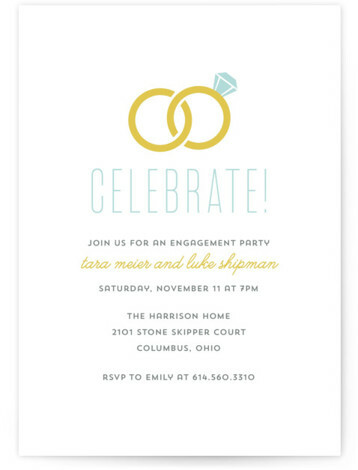 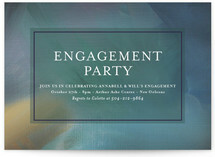 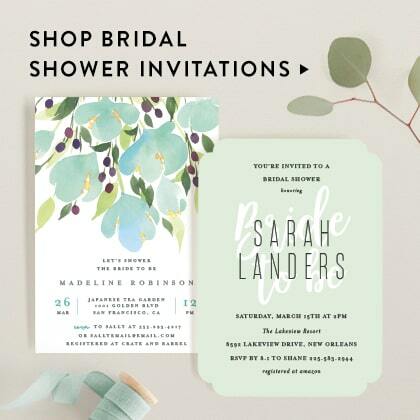 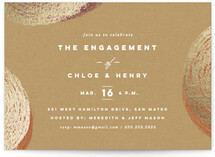 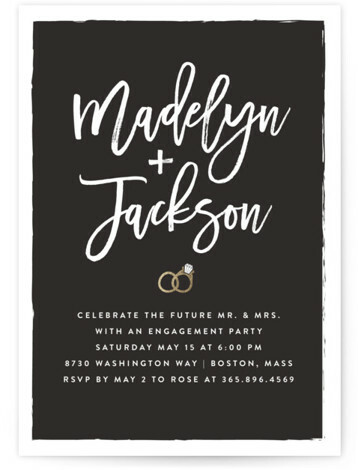 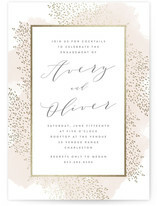 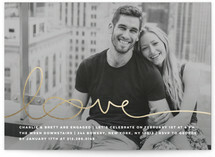 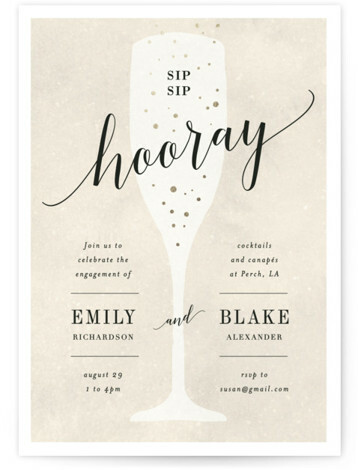 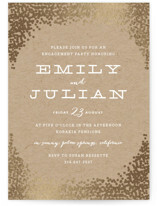 Gather your loved ones to celebrate you and your new fiancé with engagement party invitations from Minted. 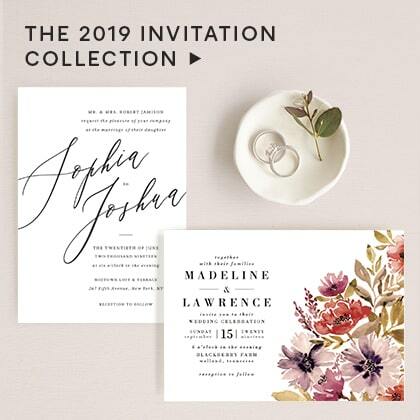 Designed to highlight the love you and your future spouse share together, Minted engagement invitations are the perfect pre-wedding keepsake. 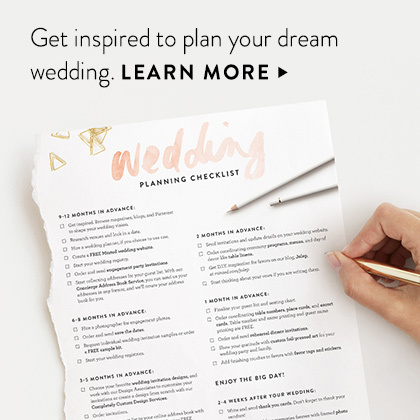 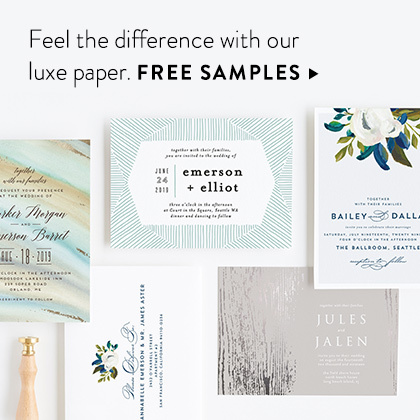 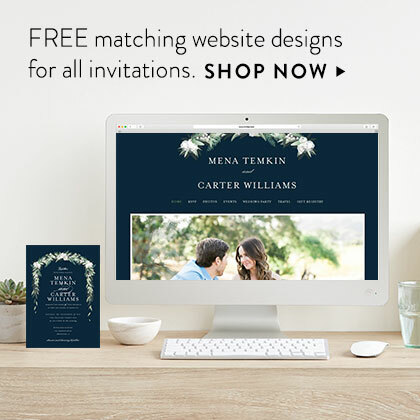 Customize a new design to compliment your engagement party style, or let your engagement invitations inspire the rest of your wedding invitation suite, the choice is entirely yours. 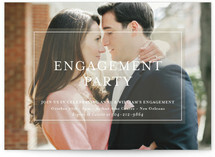 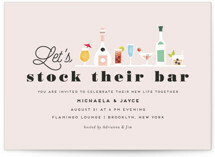 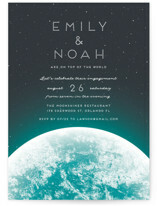 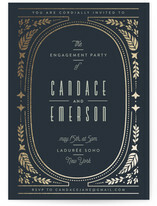 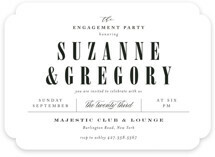 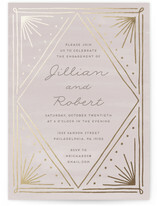 Your engagement party, and engagement cards, can either set the tone of the wedding or have a different theme entirely. 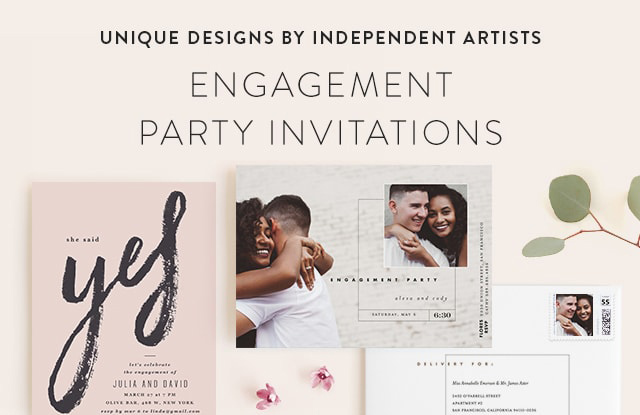 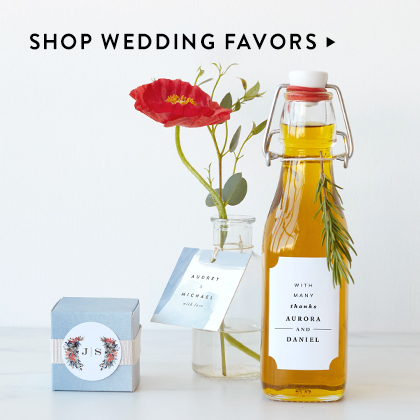 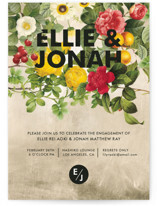 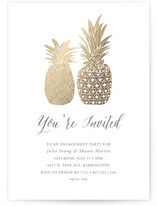 Whether your affair is classic, modern, rustic, vintage, or anything in between, we have the perfect style engagement party invite to match your event. 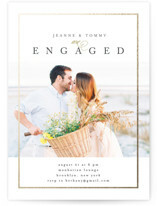 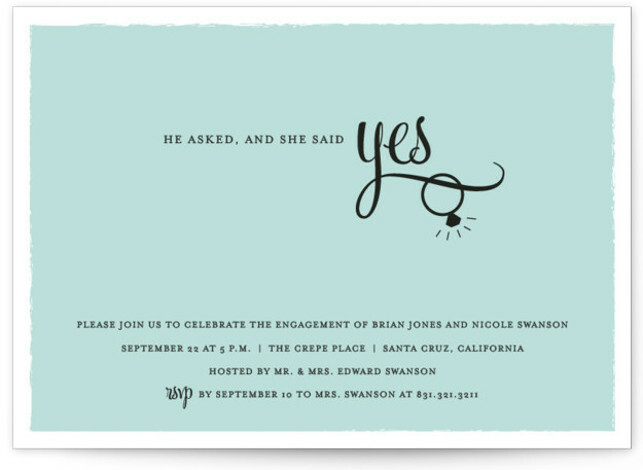 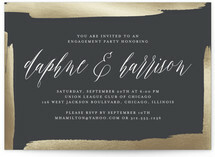 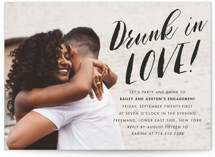 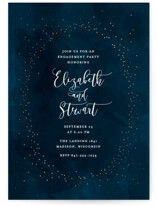 Need help with engagement invitation wording? 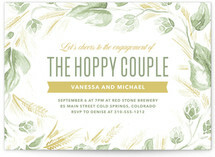 Our dedicated Minted designers would be happy to help with word choice or any other custom design needs.